What is particularly disgusting is that such vulgar exhibition of wealth has not been condemned in the public domain and media is deafeningly silent. One of the richest industrialists in India celebrated the marriage in his family in Mumbai with enormous pomp and show very recently, spending several crores of rupees. The marriage was attended by several so-called “ big shots” including the former U N Secretary General Ban Ki Mun, former British Prime Minister Tony Blair, former Indian Prime Minister Dave Gowda and several politicians, cinema stars and others. Of course, it is not the first time that marriages have been celebrated with such lavishness in India and abroad, though the above marriage function organized by a rich industrialist reached a new high ( or is it new low). In the past, several Indian politicians and businessmen have indulged in such extravaganza to show their money power and perhaps satisfy their ego. In recent times, a practice is also developing of highly rich people celebrating the marriage in several expensive resorts abroad. One recent example was that of Indian cricket captain Virat Kohli. It is highly inappropriate that pomp and show are exhibited in celebrating the functions with least regard for common people’s sentiments and reactions, who watch these functions with disbelief. Obviously, these fabulously rich people do not care about what the” lesser mortals “ feel about their behavior. In a country like India with more than 200 million people living below poverty line and not knowing where the next meal would come from, is not the above marriage a vulgar exhibition of wealth ? Certainly, the rich industrialist who organized the above marriage function and those who attended the marriage function have no thought about the millions of poor people in India. It is surprising that even U N Secretary General , former Prime Minister of India participated in the above function , though they have held positions in the past, with responsibility for serving the interests of the needy, oppressed and downtrodden people. It is shocking that even such people have no desire to condemn such vulgar exhibition of wealth and instead , they joined in the celebration. Obviously, anyone become so rich by excessive profiteering , often by adopting un savoury methods and even indulging in corrupt practices. Several politicians become super rich in short time and their families live in luxurious life style ,even though many of such politicians have no known source of income to the extent of the wealth that they possess. Similar is the case of several business men too. Think for a moment how poor people view such marriages and the contempt that they develop for such vulgar exhibition of wealth. It is quite likely that such exhibition of wealth may even trigger anger and hatred amongst the poor people, particularly the youth, who do not get enough opportunities for education or get job avenues. They certainly would be wondering how such richness can be attained in a short period of time without indulging in exploitation and dishonest practices by circumventing the law and would find it difficult not to resist such conditions violently or otherwise. What is particularly disgusting is that such vulgar exhibition of wealth has not been condemned in the public domain and media is deafeningly silent. Perhaps, the media’s silence can be due to the fact that several media houses are now owned by business houses and politicians. A private member bill was introduced in 2016 in Indian parliament to restrict number of guests that can be invited for marriage functions and dishes to be served to check “show of wealth” and insisting that those wanting to spend above Rs. 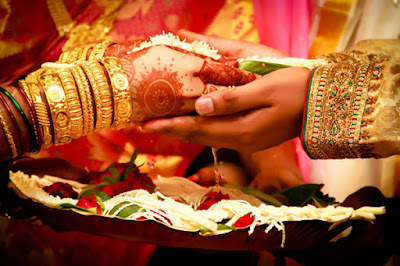 5 lakhs should contribute towards marriage of poor girls. The purpose of the bill was to prohibit extravagant and wasteful expenditure on marriage functions. Unfortunately, this bill has never become a law in India so far. There is need for strong social media campaign against such vulgar exhibition of wealth. A strong and vigorous campaign against such obnoxious practice will certainly bring positive results sooner or later and will definitely shame the rich business men and politicians from indulging in such lavish and highly objectionable vulgar practices.